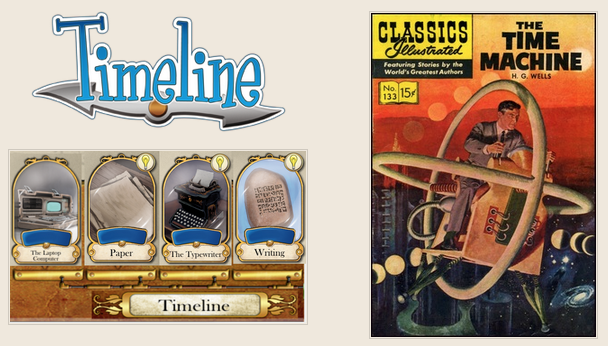 Timeline Challenge #1--Information Inventions How would you like to travel through time? Using the linked Google Drawing (make a copy), place nine information inventions in chronological order. Timeline Challenge #2--Transportation Inventions How would you like to travel through time? Using the linked Google Drawing (make a copy), place nine transportation inventions in chronological order. If you enjoy this activity, you are welcome to use the classroom set (in a metal tin in the game collection) if you finish early or for indoor recess. Interested families may find copies at the publisher's website (Asmodee) or the electronic version by Bombyx.